Any time is a great time to visit the Big Apple, but autumn in New York is hard to beat. Between the finally mild weather, gorgeous views, always-hip shopping and fun fall events, the question isn’t what you should do; it’s what do you have to miss? Naturally, that means you’ll simply have to visit the city again. And again. 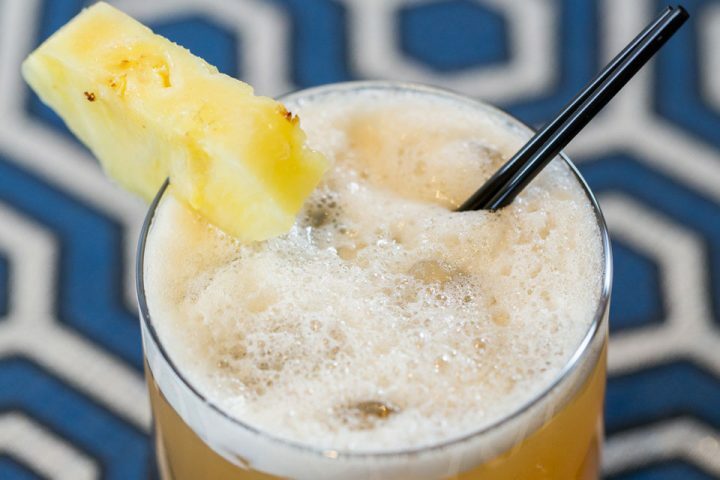 Following are just a few of Archer’s favorite happenings this autumn in New York. 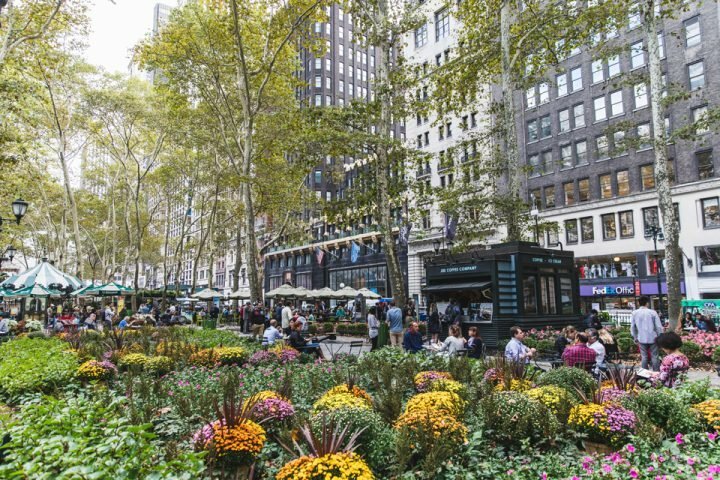 Midtown Manhattan’s Bryant Park attracts 6 million visitors annually and always has a refreshing variety of goings-on going on. For example, you can attend an early-morning boot camp workout class on the Fifth Avenue Terrace, take juggling lessons on the Upper Terrace or Lawn, listen to ragtime, jazz and blues piano in the early afternoon and attend an early evening fall birding tour. 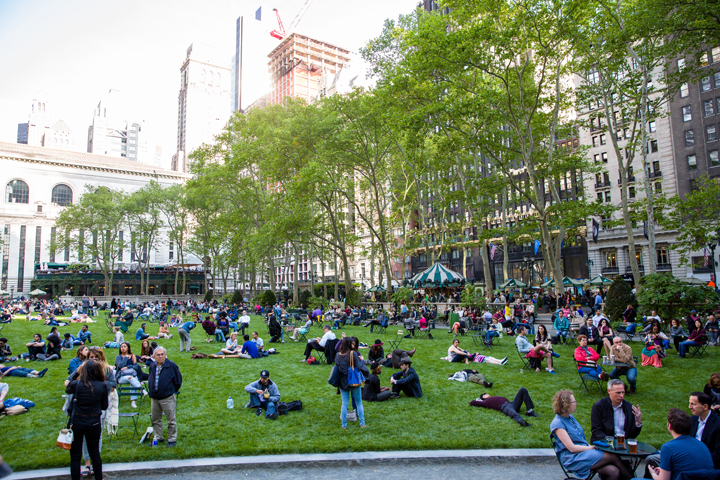 And by all means, don’t forget to eat — food kiosks, Bryant Park Grill and Café and Southwest Porch all make your time at this popular park all the more enjoyable. Get your buzz on October 12 -14 during this three-day java fest. 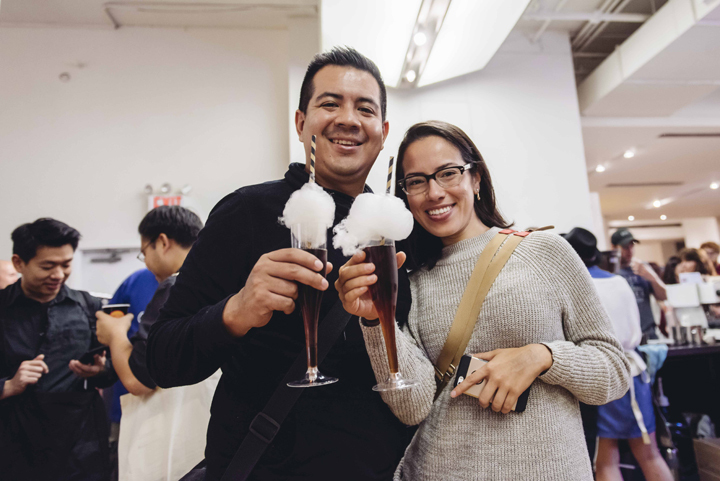 At the Metropolitan Pavilion, the New York Coffee Festival features hundreds of specialty coffees from all over the city, as well as cocktails, street food, workshops, interactive demos, live music and coffee-inspired art. A thoughtful bonus of attending: 100 percent of the profits from the festival will be donated to Project Waterfall, which brings clean drinking water, sanitation and education to coffee-growing communities. 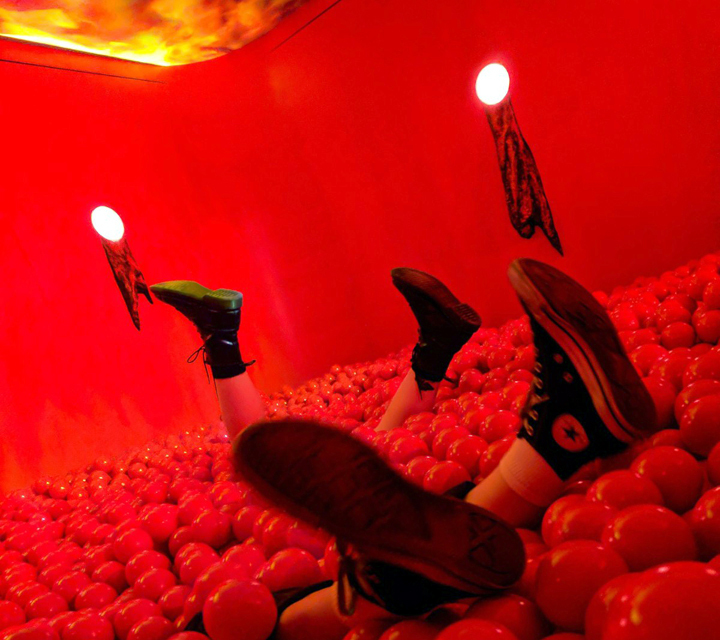 With Halloween just around the proverbial corner, the interactive art exhibition Dream Machine morphs into Nightmare Machine — a tactile, PG-13 experience that invites you to face your fears by exploring seriously scary phobias and freakouts. Share this fun time, inspired by nightmares, with friends you don’t mind clinging to. Running October 3 – 31, the Brooklyn-based event will leave you howling. Some folks gravitate toward the scary, the spooky and the macabre. If you’re in that camp, why not delve into Archer’s thoughts on the 6 Most Haunted Places in New York? Whether you go ghost hunting at Grand Central Terminal, The Campbell Bar or The Algonquin Hotel — or head straight for the final resting place of hundreds of thousands of folks at the Woodlawn Cemetery in the Bronx — you’re sure to be in good company with interesting New York history. If you’re in New York in early November (the 4th in 2018, to be exact) and have come to run the New York City Marathon, we think you’re a veritable rock star. If you’re more like the majority of folks, you and the marathon are perhaps more of a lucky coincidence — and if that’s the case, we hope you’ll add this invigorating spectator event to your itinerary. The iconic race-run that boasts 50,000+ finishers in 2017, takes participant athletes though all five boroughs and has a finish line near the south end of Central Park. Watch the action, root for the runners and get inspired. 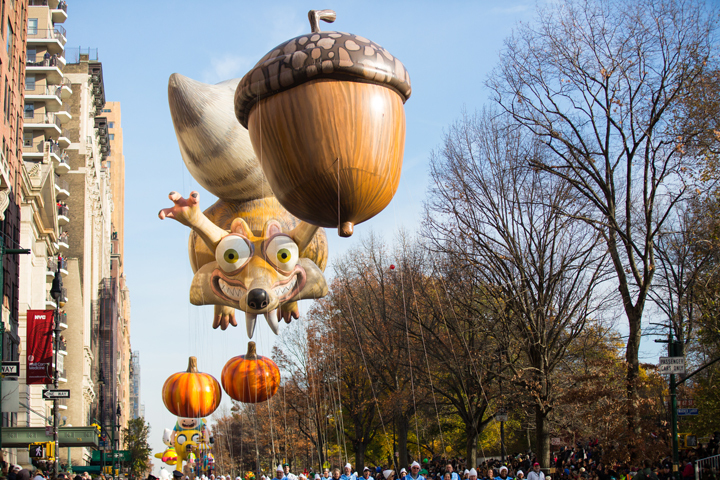 If you’re in the city for Thanksgiving, how can you not go to the largest, most iconic parade there is? What started in 1924 is now a three-hour event that includes character and novelty balloons — each full-size character balloon requires 90 handlers — a Blue Sky Gallery that transforms artists’ works in to full-size balloon art, falloons (float-based balloons), balloonicles (self-powered balloon vehicles), marching bands, a myriad of performers (including actors from Broadway shows and the Radio City Music Hall Rockettes) and special guests. What a fun way to be a part of history! 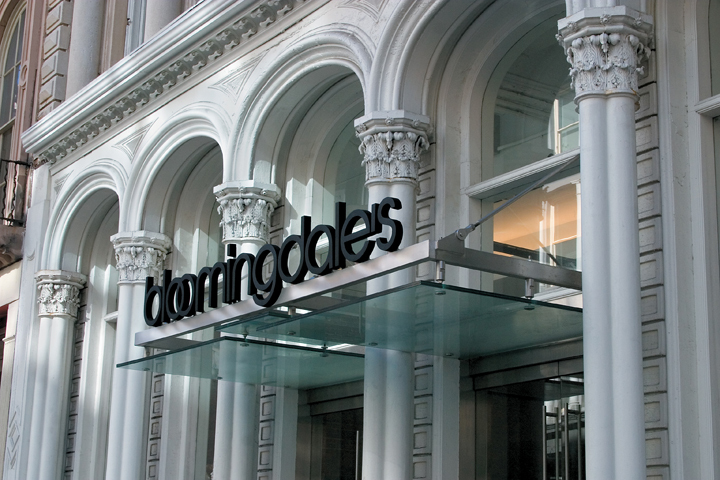 Bloomingdales in SoHo — photo courtesy of Macy’s Inc. Autumn in New York is no doubt a lovely time to wander the streets, window shopping and discovering all the different shopping opportunities that exist in this fabulously avant-garde city. Whether you get gloriously lost in the flagship Macy’s Herald Square — the largest department store in the U.S., with 1.25 million square feet of fashion and home retail space — or find yourself browsing along the artistically inclined streets of SoHo, the luxury-leaning sidewalks of Lexington Avenue or the über-contemporary Meatpacking District, you’ll walk away with unique finds and only-in-New-York memories. 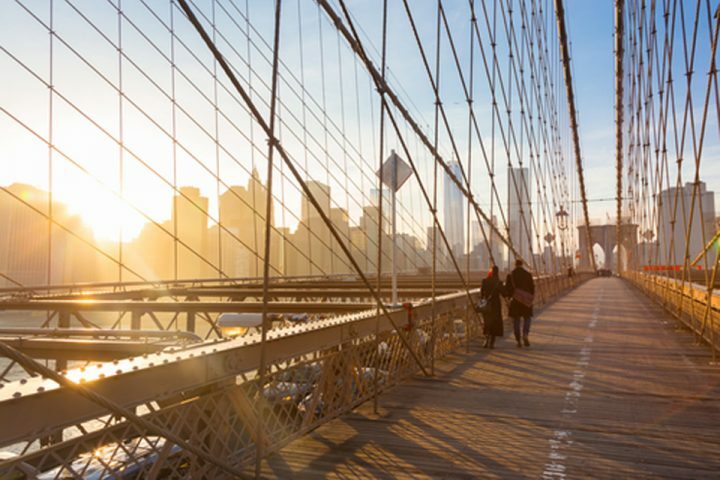 For more ideas on what to do this autumn in New York, you can rely on Archer’s travel blog for classic suggestions and thoughtful guidance. 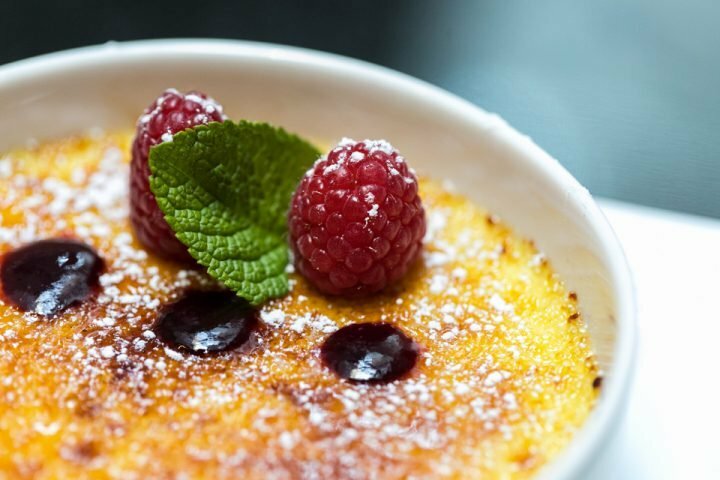 Holiday Events — Something to Look Forward to starts with the New York Wine and Food Festival and finishes with New Year’s Eve in the city. 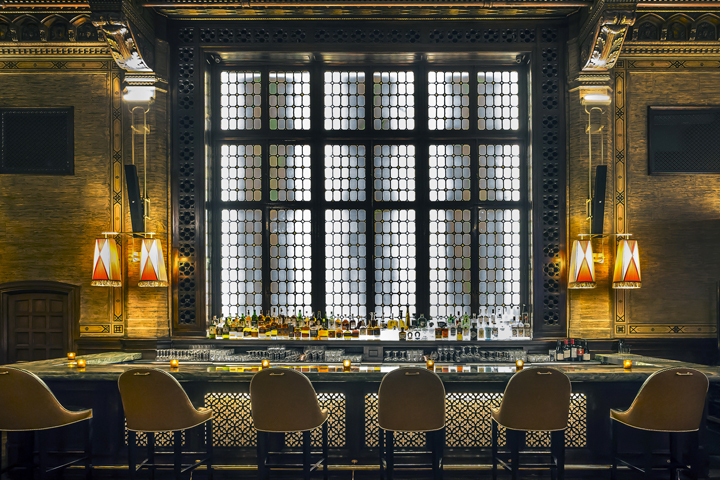 36 Hours in New York With Anthony — Archer Hotel New York’s in-the-know concierge — walks you through a brief but fabulous visit to NYC. When you have to eat but you want it to be très romantique, look to Archer’s Romantic Dining in NYC recommendations. And before you leave this magnificent town, remember those you left behind and check out What to Take Home: New York City Souvenirs. Autumn in New York — there’s nothing like it.